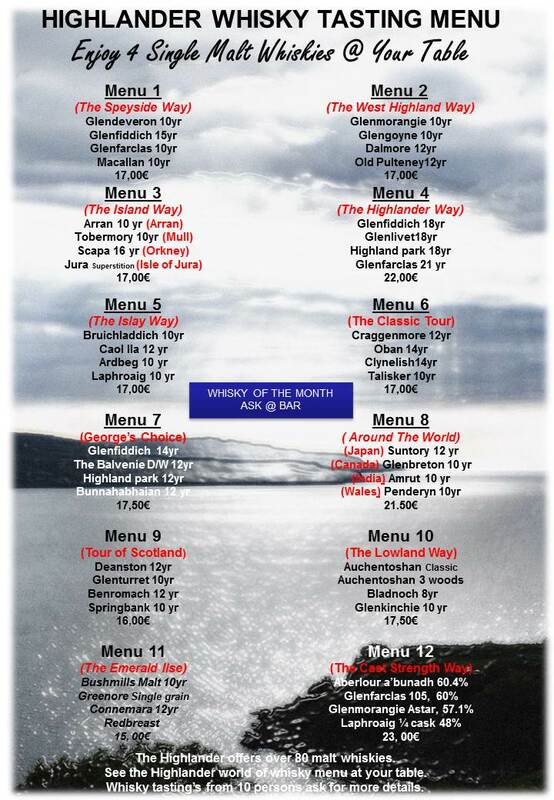 A choice of more than 80 great Scotch malt whiskies. A clean tulip-shaped nosing glass. A jug of bottled still water at room temperature. Select a suitable glass for nosing A tulip shaped glass tends to be best. This type of glass will trap the aromas in the bulbous bottom of the glass and release them through the small area at the top of the glass. Whisky is often drunk from a crystal tumbler. This is perfectly acceptable, and is in fact more practical for drinking, however, the tulip shaped glass is better for nosing purposes. Colour Hold the glass up to a neutral background and have a good look at the colour. Colour can give an indication of age and wood finish, however, never trust your eyes. Any assumptions made on colour must be confirmed on the nose e.g. 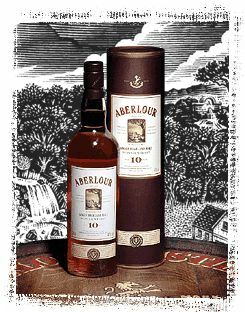 A dark rich amber coloured whisky may have been mature in an ex-sherry barrel from Spain or it may be an older whisky. Body weight Swirl the whisky around the glass, coating the sides thoroughly. Then wait, and watch the teardrops form and run down the side of the glass. 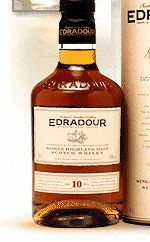 If the legs run quickly, there are lots of them, and they are quite thin then it is probably a light-bodied whisky and/or a younger whisky. If the legs take a long time to start running, then run slowly down the side of the glass, there are very few of them and they are quite thick in appearance, then it may be a heavy bodied whisky and/or an older whisky. *Nose Add a splash of bottled still water to your whisky. The water will reduce the alcohol content, and raise the temperature slightly releasing more of the aromas. Ensure you nose the whisky more than once. Your first nose will be a rush of alcohol, other characteristics will follow quickly. Holding your mouth open slightly when nosing should help you take in more of the whisky's aromas. Palate Have a taste of the whisky. Try to pick out any flavours you can ¿ remember, even though you are tasting, your nose is still doing a lot of the work. Sometimes you will pick out flavours on the palate that you were not immediately aware of on the nose, and vice versa. Think about how the whisky feels in your mouth- is it silky smooth, is it a little syrupy, does it feel tingly on the tongue? Finish Does the flavour last a long time? Does it disappear quickly? Is it long and warming, or short, crisp and dry? * You may wish to nose and taste your whisky without water first, and then add a splash of water to experience the nose developing. 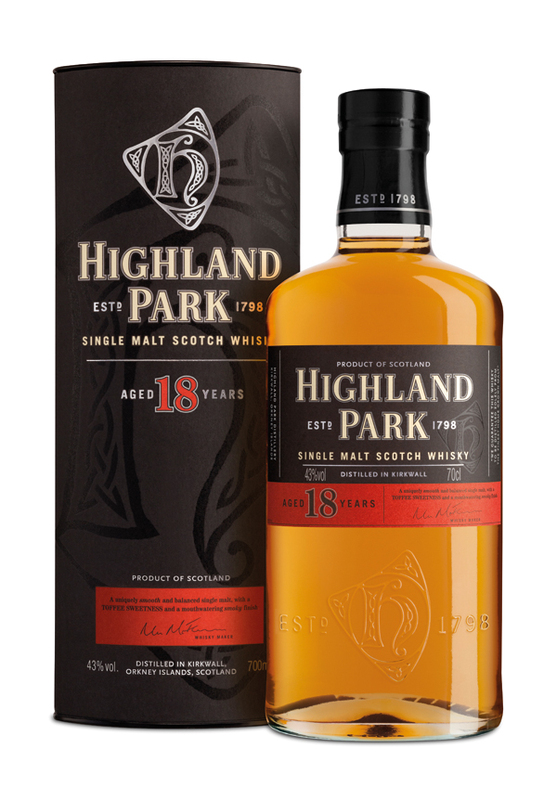 The 18 year old produced by Highland Park is one of the best in the world, without a doubt, and has been considered so since the first bottle was released. 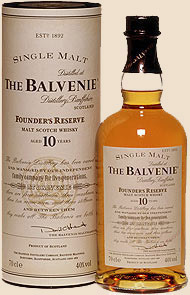 This is simply a stunning Scotch, balanced with rich flavors, the perfect amount of peat and a delicious, sweet oak. There is not much more to say than if you consider yourself a whisky lover and have not tried this bottle, you are missing out on a specimen of immaculate design.